America's national parks are gorgeous and beloved. But they're also crowded: The National Park Service recorded nearly 331 million recreation visitors in 2017, just shy of its record-breaking year in 2016. You may even encounter traffic jams in the most popular parks—and that's after paying the entrance fee (as much as $20 per person or $35 per car). There's no substitute for iconic sites like the Grand Canyon or Yosemite's Half Dome, of course. But once you've experienced their majesty, you may be looking to soak up nature's glory without the crowds. The solution? National forests. They usually see less than half of the recreation visits the national parks receive, and admission is free. Plus, some forests are close to, or even neighboring, the national parks—so they feature similar flora and fauna, along with views that can be just as spectacular. Here are six great options, with suggested campgrounds for an even greater back-to-nature experience. About 75 miles east of Great Smoky Mountains National Park, this national forest in North Carolina is located among some of the world's oldest mountains, including Mount Mitchell—the highest peak east of the Mississippi. Within the forest's three designated wilderness areas, you'll find whitewater rivers, gorges, and waterfalls. Bring your swimsuit. The nearly 1.6 million acres that make up the Kaibab National Forest border both the north and south rims of Arizona's Grand Canyon. Watch for the elk, mule deer, and coyotes that wander the forest's canyons, prairies, and peaks. Kanab Creek Wilderness, a remote area inside the forest, is beautiful, featuring a network of vertical-walled gorges that form a water-carved maze. Less than 40 miles from Zion National Park, Dixie stretches for about 170 miles across southern Utah. The national forest is dotted with impressive red rock formations that rival those of Zion, Arches, and Bryce Canyon; you'll also find caves, lava flows, and nearby Anasazi ruins. Fish, hike, and mountain bike to your heart's content. To see the four chiseled presidents at Mount Rushmore, you'll have to drive into this national forest, which lies mostly in South Dakota. So take some time to explore the 1.2 million acres of Black Hills; you'll find the same sort of rock formations and canyons as in Badlands National Park, about 100 miles away. Drive and hike your way through the mix of rugged rock formations, canyons, grasslands, streams, lakes, and caves. This national forest is located directly south of California's Yosemite National Park, and you can drive right from one into the other. 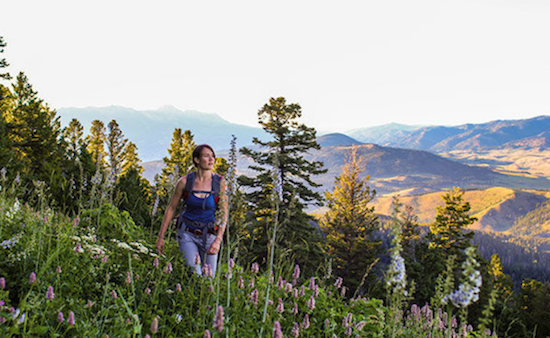 With more than 1,000 miles of hiking trails—ranging from groomed walking trails to rugged terrain—there's plenty to see and do. Head to McKinley Grove, an area filled with ancient sequoia trees. Then make a stop at Mile High Vista along the Sierra Vista Scenic Byway, for sweeping views of untouched wilderness and the Sierra Crest. After visiting Yellowstone National Park to see Old Faithful, travel a short way northeast to explore the hot springs and pools of this gorgeous national forest, which lies primarily in Montana. You'll have a chance to check out the same majestic wildlife that roams the national park—like buffalo, bears, and elk—without having to battle the crowds.